The objective of this article is to highlight the pervasive systematic violations of the Ahwazi Arab people’s rights. Over the last 36 years, essentially coinciding with the formation of the Islamic Republic of Iran, these violations have increased many-fold, even as the Ahwazis continue demanding their legitimate rights. This article seeks to provide a comprehensive picture of the prolonged oppression of the Ahwazi Arab people. They are suffering from ultra-national racism, institutionalized discrimination and deliberate neglect at the hands of Iran’s regime. They are facing various barriers in accessing education, employment, housing, healthcare and other essential services. Since 1925, the Ahwazi Arab people have been subjected to summary executions, forcible displacement, migration, and the confiscation and destruction of homes and personal property. Under Iran’s current fundamentalist sectarian regime, the Ahwazi people live in constant fear of oppression. The current Iranian clerical regime is systematically completing the ethnic cleansing agenda that was begun by the deposed Pahlavi regime. Around 10 million Ahwazi Arabs inhabit the south and southwest of Iran. They are one of the Middle East’s oppressed peoples. They are united through race, culture and language. Their Arab dialect resembles the Iraqi Arabic dialect. The Majorities are Shia and Sunni Muslim, although there are a number of other religions and creeds, such as Christians and Mandaeans. The Iranian regime has shown a deep-seated hatred against the Ahwazi Arab people, who constitute 10% of the population. In 1925, the emirate of Al- Ahwaz, ruled by Amir Khazaal Al-Kaabi, was toppled by an invasion by the Iranian regime. The invasion put an end to the independent sovereignty of Al-Ahwaz, which was annexed to the newly formed country of Iran in 1934. Since then, through countless rebellions, armed insurrections and unarmed movements, the Ahwazi Arabs have reiterated their determination to continue their struggle and their resistance against the occupation of Ahwaz and to reassert the sovereignty of Ahwaz that was lost to the Iranian invasion. For generations, the Ahwazis have received harsh treatment at the hands of the Iranian authorities. In response to the popular uprisings that followed the Iranian occupation, successive Iranian regimes have forcibly resettled much of the Ahwazi Arab population in Persian regions, as part of a program of ethnic cleansing. Historical Arabic names of cities have been changed into Persian ones. Arabic dress has been completely banned. The use of the Arabic language in Ahwaz has been greatly restricted and even criminalized. 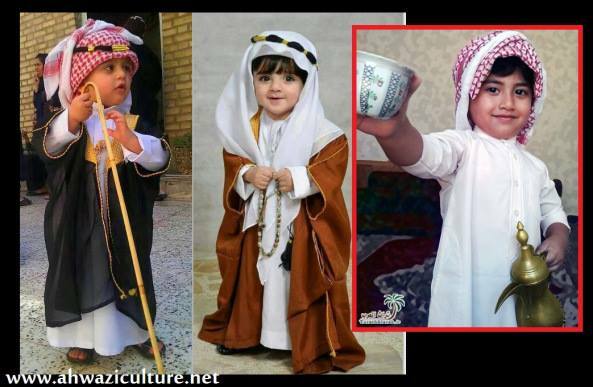 Even the ethnic identity of the Ahwazi Arab has been denied. Ahwazi Arabs have long been suppressed and denied basic rights. In recent years, Ahwazi lands have been confiscated forcibly with threats and intimidation and redistributed to Persian settlers in an attempt to “Persianize” Ahwazi regions. In the late 1940s, the government began systematically settling the nomadic “Lur tribes”, who are offshoots of Persian ethnics, into areas with Arab majorities, particularly in the oil-rich cities from which the Arab people were forcibly relocated. These ethnic cleansing policies have been accelerated in recent years in an effort to destroy the demographic fabric of Ahwaz. Any popular movement or protest led by the Ahwazi political class, such as the popular uprising of April 2005 against institutionalized ethnic oppression, has been brutally crushed by cracking down on the protestors and making mass arrests, even executing the majority of the prominent political figures. In fact, the Ahwazi Arab people have sought and tried all peaceful political channels to obtain their most basic and legitimate rights, which are enshrined and stated in Iran’s current constitution. In particular, the Ahwazi Arabs have sought the application of Articles 15 and 19 of the Constitution, which stress the right of education in the mother tongue for all ethnic groups, including Arabs, Turks, Kurds and Baluchs. The regime, however, refuses to implement these articles, thus depriving more than 50% of the non-Persian population of their mother tongue. Instead, the regime has imposed the Persian language as the official language of the education curriculum. This policy has resulted in a high rate of students dropping out from schools at early ages in the marginalized non-Persian regions: due to the challenges of learning the Persian language, students are held back linguistically, becoming only partially proficient in both their native tongue and the imposed Persian language. This also results in students suffering from a dual identity crisis. The Iranian occupation regime is utilizing a variety of strategies in its efforts to obliterate Arab identity in Al-Ahwaz. One of these strategies is to introduce Persian-speaking settlers and give them homes among communities of Arab citizens with the aim of having a negative impact on the Ahwazi Arab citizens in Al-Ahwaz. In addition, a massive number of schools, institutions, and centers are being built for the express goal of imposing and spreading the Persian language and culture, while obscuring and excluding the Arabic language and everything that is associated with the identity, culture and history of the Ahwazi Arab people. The Iranian settlements are Persian-only, racially exclusive, and their residents live in comfort, with all the facilities provided, while the surrounding Ahwazi Arabs are denied the same facilities and live in desperate squalor in their own homeland. Of course, the Ahwazi Arab people’s protests against the Iranian occupation are not limited to such issues. 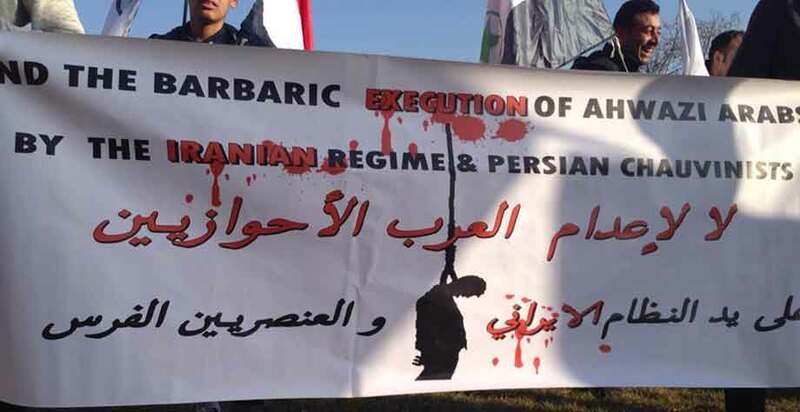 Since the military occupation of Al-Ahwaz until now, Iran has been practicing all types of repressive measures, and through the prosecution of multiple pernicious policies, the regime is attempting to eliminate totally the Arabic identity of the Ahwazis. The terrible legacy of Iran’s repressive nationalist occupation cannot be overstated. It has inflicted horrendous suffering on around 10 million Ahwazi Arab people, who have long suffered systematic marginalization by consecutive regimes of Iranian occupation, going back to the Shah, before the current theocratic regime, in terms of land, territories, resources, language, culture, customary laws, and political and economic opportunities. From the outset, the occupation of Al-Ahwaz by a racist colonial-settler state has been aimed at eradicating all that is Arabic in Al-Ahwaz. No effort has been spared to liquidate the culture, the language, the history and the whole Ahwazi Arab national entity within the crucible of the Persian culture through the denial of all legitimate rights, such as education and the teaching of the Arabic language, which is one of the most important pillars of raising new enlightened generations. A second language (Farsi) is being imposed. Since the emergence of the Islamic Republic’s regime, everything related to Arab culture has been declared to be ‘against God’ and thus banned. As a matter of fact, the clerical regime does not concern itself with religious beliefs as much as they are concerned about fighting the Ahwazi Arab identity and snuffing out their culture. This colonialist policy has led the Ahwazi Arab people to fall far behind in terms of development and education, with the policy being practiced in parallel with terrorism, intimidation and oppression, all of which have weakened and made the Arabic language fragile among the Ahwazis. The Iranian occupation apparatuses have been attempting to falsify and distort the national identity and culture of Ahwazis by describing them as Iranian Arab and as an Arab-speaking minority, which is intended to suggest that they are not originally Arab, but that they are Persians who over time have come under the linguistic influence of their neighbors and become Arab-speakers because of the proximity of Arab countries. The threat of the national Ahwazi Arab ideal to a Persian national security policy has occupied a key position not only among the Iranian security forces; it has become central to the Iranian nationalist political ideology, which is based on the dual doctrines of Persian nationalism and Iranian Islam (Shia Islam). From the books and studies published by the Iranian strategic centers at the service of the occupation, we can understand how critical this issue is to the regime. Such studies and publications are full of strategies and vile concepts aimed at countering the Ahwazi Arab struggle; they are filled with weird concepts created to tarnish the image of the national Ahwazi movement. For example, these books and publications label Ahwazis as loyalists of the Arab Socialist Ba’ath Party. After the fall of the Iraqi regime, the Iranian occupation produced the concept of Wahhabism. Then it invented the lies that the Ahwazi political activists are Western spies and stooges, enemies of God, traitors, or infidel atheists. These charges carry the death penalty, and the biased judicial systems of the Iranian occupation use them to murder Ahwazi Arab political prisoners. Owing to this, the threat of imprisonment and execution has been a constant reality for every Ahwazi. This threat is aimed at weakening the willpower of the Ahwazi Arab nation so that it will surrender its prolonged struggle for liberation, its struggle to regain the independence stolen by Iran in 1925. Despite all these repressive strategies, not only has the Ahwazi Arab culture not lost its fortitude, on the contrary, it has become even stronger. Racial denial and elimination, mass extrajudicial murder, ethnocide and forced displacement have constituted the main policies of the Islamic Republic of Iran in dealing with the Ahwazi people and other national groups. However, the indigenous culture and the ethical and historical values of the Ahwazi Arab nation, as manifested in the context of social resistance, have never surrendered to the assimilationist policies of the Iranian effort to build a nation state on the basis of a mono-ethnic Persian identity. Since the 1948 Nakba, association with the cause of Palestinian freedom has been endlessly useful. It hasn’t been useful in any way, of course, for the vast majority of Palestinians, who continue to languish in disempowered internal or external exile from their lands, now occupied for over 67 years and counting. But for generations of regional and other leaders, totalitarian regimes, pundits, activists and anyone else fancying a bit of easy reflected glory, Palestine has provided an invaluable patina of revolutionary kudos by association. Every government in the Middle East and a good few elsewhere, more particularly the nominally anti-imperialist regimes and dictators, plays the ‘anti-zionist’ card professionally: the Assads, father and son, have been adept exploiters of Palestine since Hafez al-Assad first seized power. The regime has relied heavily on its ‘heroic resistance’ reputation, winning admiration and praise worldwide. 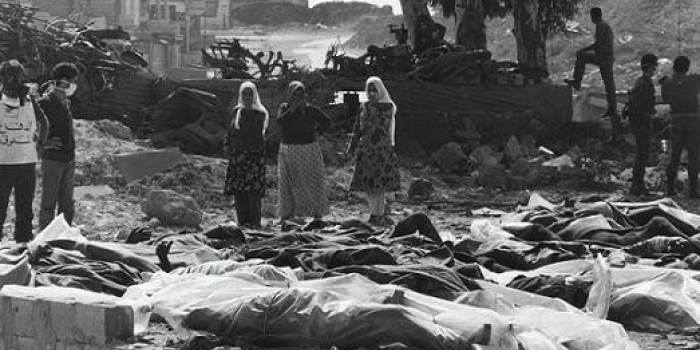 The most cursory analysis of the regime’s actual ‘resistance’ shows a long track record of cynical exploitation, betrayal and oppression of Palestinians since Hafez first seized power right up to the modern day, ranging from its attempts to hobble the PLO and complicity in the massacre in Lebanon’s Tel al Zaatar camp to the current ongoing ‘Second Nakba’, demonstrating the Assads’ true distaste for freedom, for Palestinians as for Syrians, Lebanese or anyone else who stands in their way. 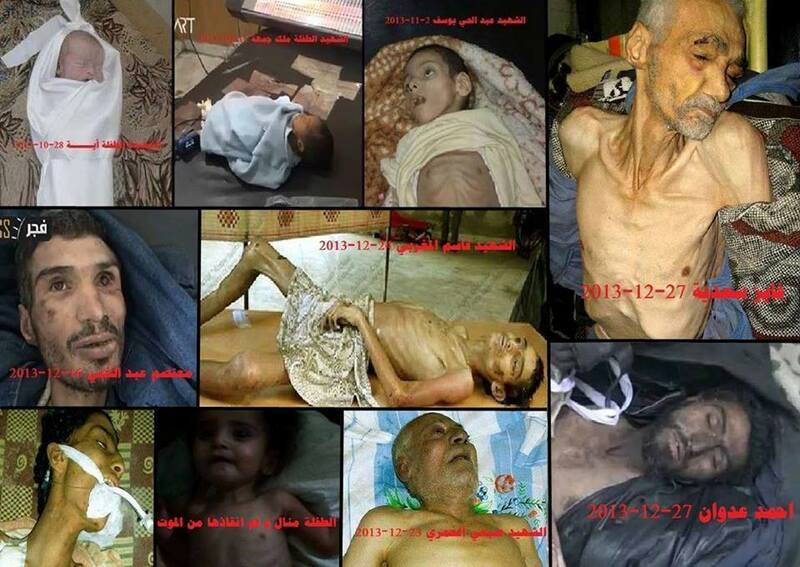 Some of the residents of Yarmouk Palestinian refugee camp in Damascus who have starved to death under the continuing regime siege on the camp, much of which has been destroyed by two years of regime aerial and heavy artillery bombardment. Should Palestine actually be liberated or Zionism be dismantled, as the Assads have always been fully aware, the regime would need to find new excuses for its savage domestic repression. But as the Assads and the other ‘axis of resistance’ leaders are well aware, people will always prefer the reassuring lie of jam tomorrow to the dark reality of totalitarianism today. The Iranian regime, the fulcrum of the ‘resistance’ axis, is even more adept in and reliant on its exploitation of the cause of Palestinian freedom. Having sold itself as the great saviour of Palestine, prevented from triumphant liberation of Al Quds only by fiendish Zionist plots for 36 years to date, Tehran is wholly dependent on Israel’s continuing occupation to justify its own domestic totalitarianism and more recently its own colonialist regional empire (re) building and occupation. As Ahwazi Arabs have known for a very long time, of course, the Iranian regime is little different in supremacist essence and bone-deep racism to its counterpart in Tel Aviv; indeed, it’s one more bitter irony that the Israeli occupation is less savage overall than that imposed by the ‘great liberators’ in Tehran, both domestically and regionally. With the regional regimes and tyrants, however, their lie of support for Palestinian freedom at least has the excuse, however pathetic and contemptible it is, of being essential to their own survival. Those in the West who continue to cynically abuse the cause of Palestinian freedom to support, justify and/or deny Assad’s and Tehran’s genocidal oppression lack even that despicable and threadbare figleaf of justification. George Galloway, ‘Stop the War’, Cynthia McKinney and countless other prominent Western activists for Palestinian freedom (or for the freedom of those Palestinians under Israeli occupation, with other Palestinians being considered unworthy of liberation) lack even that miserable semi-excuse. Indeed, they continue to parrot Assad’s and Tehran’s now surreally obscene and utterly discredited script of anti-zionist, anti-imperialist revolutionary zeal to justify another, ongoing Nakba and regional occupation. Even more ironically, the language of the selective Western supporters of (some) Palestinians’ freedom, like that of Assad and Iran, is now largely indistinguishable from that of the devoted Zionists and neocons who they claim are their sworn enemies; any barbarism, any crime against humanity, no matter how monstrous, up to and including ethno-sectarian cleansing and genocide, can be justified or mitigated as being part of a valiant battle against Islamist terrorism to protect the state, and those crimes which can’t be manipulated can be simply denied or ignored. The nobility and rightness of the cause of Palestinian freedom, of Syrian freedom, of freedom as the right of all peoples, are unsullied by those who exploit others’ suffering to justify their own vast inhumanity. All that the exploiters reveal and emphasize is their own profound and utterly shameless moral bankruptcy.